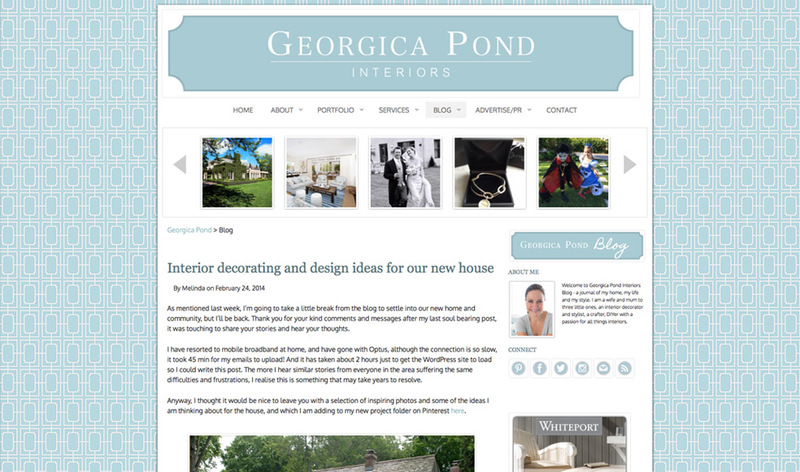 A Divine Blog for Sydney’s Georgica Pond Interiors … Nella was approached by Georgica Pond to create the ultimate in WordPress Blog sophistication and functionality – we delivered an exceptional package, including our revolutionary blog wall. Couldn’t speak highly enough of Eric or the service he provided. He is relaxed, easy going, amenable, approachable, patient, flexible, makes it all easy to understand and is accommodating. His pricing is very reasonable, he works hard and completes on time. It was the first enjoyable experience I have had with a web or graphic designer in ten years. High recommend.